The ladies team at the Midlands Cross Country Championships. 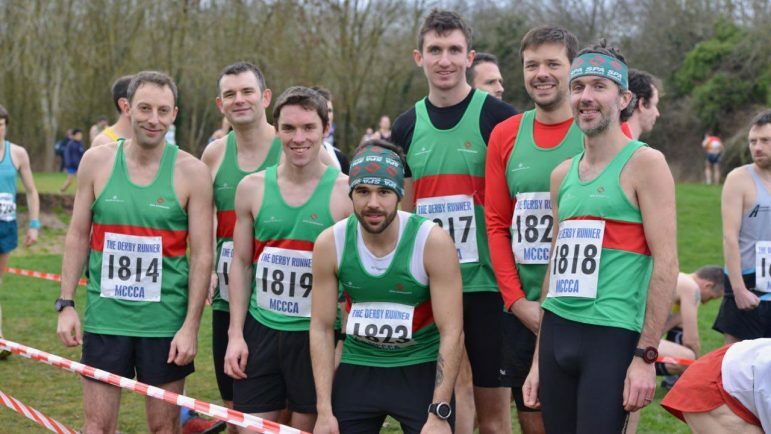 The men's team at the Midlands Cross Country Championships. 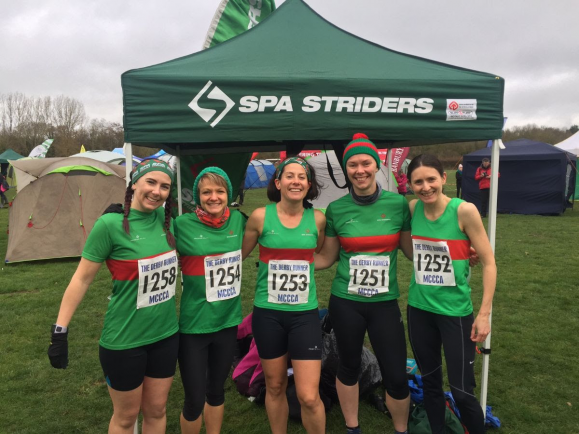 A SUCCESSFUL afternoon for Spa Striders saw them field senior men’s and women’s teams at the Midlands XC Championships for the first time in a number of years. The event at Newbold Comyn was well ran by the women’s team, who finished 16th out of 35 full teams, Jo Fleming leading the way in 52nd overall (36:27). Clare Hinton (37:36), Liz Draper (43:01) and Emma Bird (44:33) finished soon after, in the course that retained the infamous ditch and climb up Beacon Hill. The men’s team went one better to finish 15th, with Chris McKeown crossing the line with a time of 44:45 to finish 61st, whilst Adam Notley (45:54), Steven Taylor (47:56) and Aitor Tudero (48:19) came home inside the 50 minute mark. Gethyn Friswell (52:47), Robert Egan (58:38), Ben Cohen (60:55) and James Robbins (67:34) completed the line-up for the senior men’s side. Elsewhere in the Waterways 30, Mel Venables finished with a remarkable time of 4:29, breaking the ladies’ course record by an unfathomable 15 minutes. Bethan Gwynn rounded off the afternoon for Spa when finishing as the fourth fastest lady in the Wychavon Way (40 miles) with a time of 7:07.